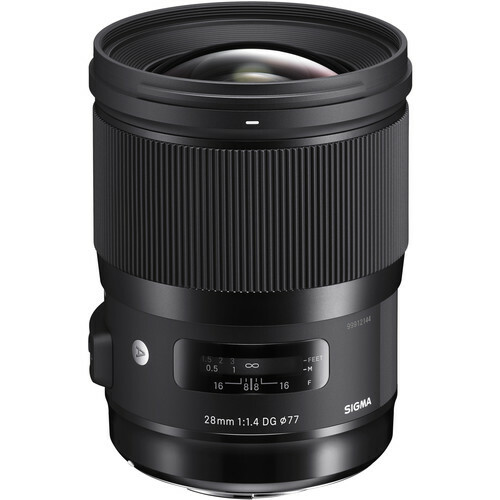 Sigma Japan announced the new Sigma 28mm f/1.4 DG HSM Art Lens for Sony E mount will start shipping on April 19, 2019. You can now pre-order this Sigma 28mm f/1.4 Art FE lens at B&H, Adorama for $1,399. A favored wide-angle prime, the Sony E-mount Sigma 28mm f/1.4 DG HSM Art Lens is a versatile lens with a classic broad field of view that suits everything from street shooting to landscape photography. Impressively bright, the fast f/1.4 maximum aperture is ideal for working in low-light conditions and also offers greater control over depth of field for isolating subject matter. Sigma 105mm T1.5, 40mm T1.5, 28mm T1.5 Cinema Lenses Coming Soon!